When researching for your Tokyo accommodation it’s important to keep in mind what kind of Japan itinerary you are planning on. 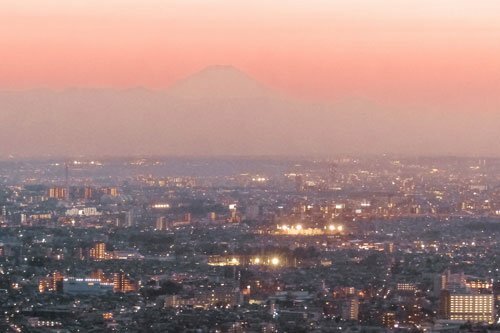 Are you staying just in Tokyo for a few days or will you want to travel the vicinity as well? Tokyo is a fabulous city no matter the season. 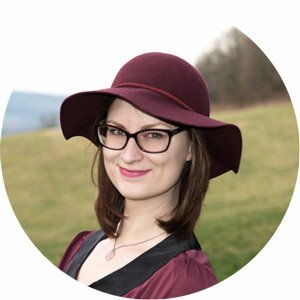 Its hotels and attractions are always high in demand, so depending on when you visit, you need to sort out your bookings far in advance. High season for Tokyo runs from late April through early May as well as mid-June to mid-September. 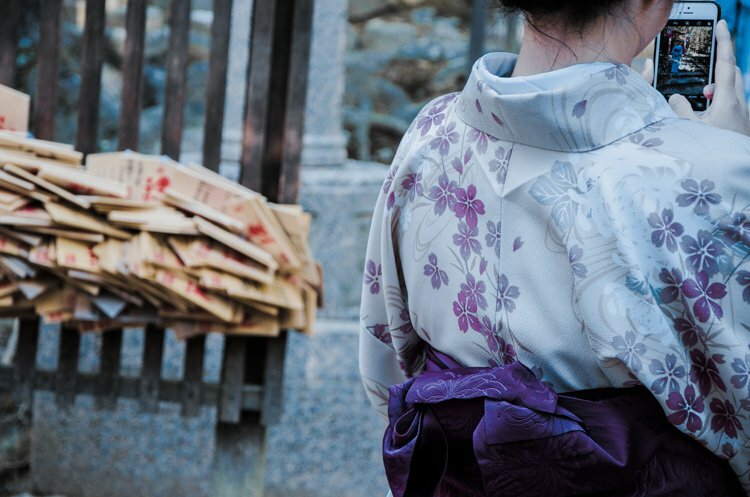 For cherry blossom season, autumn and Golden Week, book more than half a year prior. It can get pretty hard to get good and affordable rooms in a central location otherwise. Even hostels fill up quickly. Summer might seem like a good time to visit as it is much less crowded and busy. However, be aware that during Tokyo’s summer months is hot and humid. Also, it’s tsunami season. Autumn is the rainiest time and winters can be cold. But aren’t usually below zero, so don’t expect a lot of snow. You can easily get around with taxi. The most affordable way is via the app JapanTaxi. Upon signing up you get a ¥1000 discount ($10). However, be aware that streets are crowded and taxis are expensive. If you don’t travel Japan for a few weeks or do multiple day trips from Tokyo, there is no need for a rental car either. Check rates with Sixt or National Car Rental. It’s possible to use the extensive bus system in Tokyo. However, it is much trickier than the JR and metro system. Don’t expect bus drivers to speak English either. It’s best to do your research in advance or check up current timetables on the Toei bus map and schedule. For on the go, it’s a good idea to be prepared with a wifi hotspot so you don’t have to hunt down a wifi hotspot. 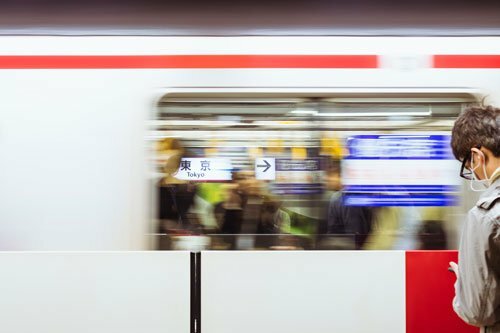 The easiest way to get around is with JR rail or local metro lines in Tokyo. There are multiple operators in the city and tickets aren’t valid if you change lines between them. In case you can’t be bothered to figure out the best way to avoid changing operators, paying for each ticket separately, etc, get a suica card or tourist pass in advance. 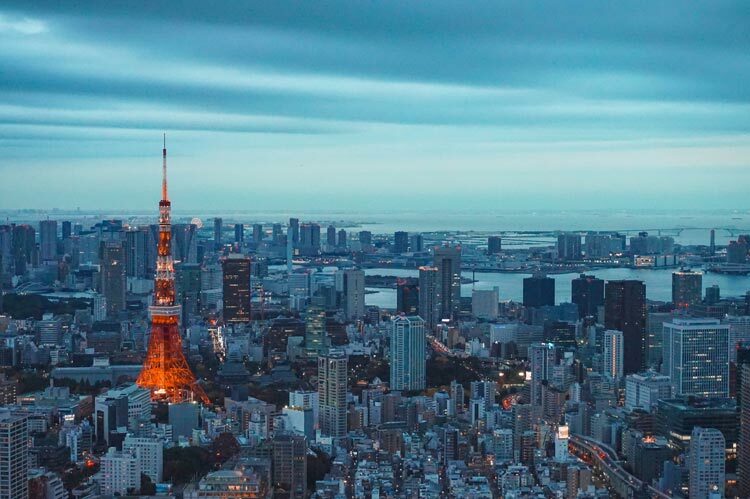 With your Japan Railpass you can reach many popular locations in Tokyo and throughout the country on the JR lines. The Yamanote line goes in a circle around Tokyo’s centre, for instance. 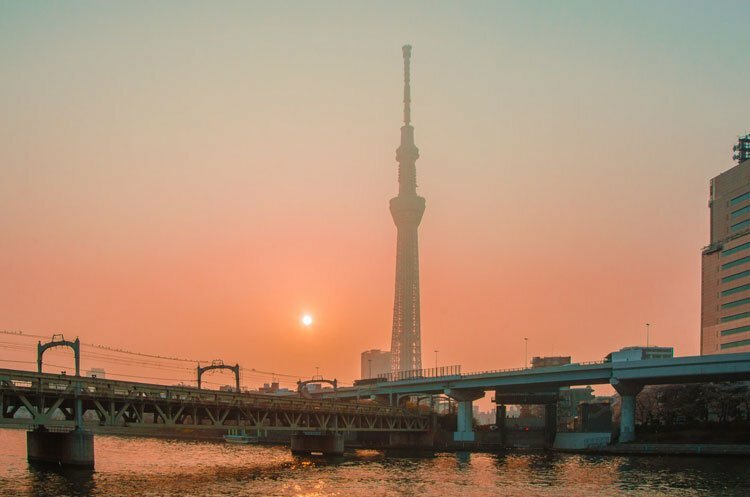 However, with Tokyo metro you can get to more destinations and at a cheaper price if you don’t have a railpass or want to save it for longer distance trips. You just have to make up your mind if you need it for 1, 2 or 3 days. Reserve it here. There aren’t very many hostels super close to Tokyo Station as the area is rather more expensive and upscale. After all, it is one of the best places to stay in Tokyo. If you do find them, they come at low budget hotel prices. 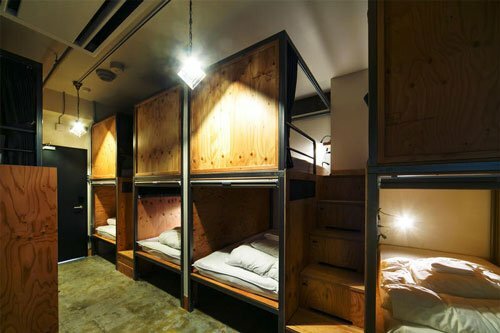 A hostel with great ratings as well as affordable rates of regular hostel prices is Wise Owl Hostlels in Tokyo. Both cash and credit card are accepted forms of payment. It is possible to hire bikes, do your laundry and rent an iron. Reception is open 24 hours, there are lockers on site and linen is included. What I liked particularly is that there is a female only dorm, which is great if it’s your first solo trip for instance. Reserve your bed here. 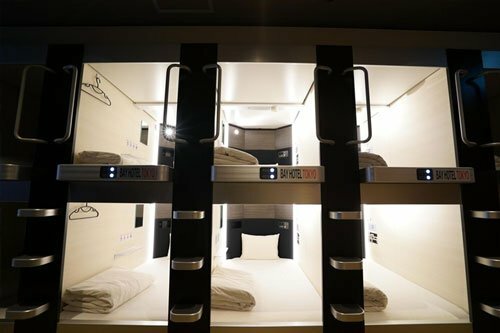 Ever wanted to stay at a capsule hotel in Tokyo? This is your chance. 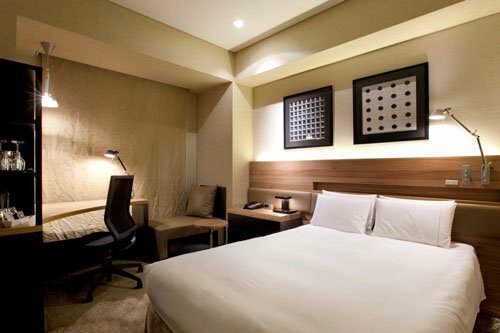 Tokyo Nihonbashi Bay Hotel is minimalist in style and conception but clean, comfortable and with an excellent location. Apart from nearby Tokyo Station (7 minutes on foot), you only have to walk 2 minutes to the B1 Exit of Nihombashi Subway Station. A stay at this compact hotel includes a small towel, toothbrush and slippers. Washing rooms and showers are shared and include hairdryers and free shampoo. There is a communal lounge as well as luggage storing facilities and lockers onsite. Check for available rooms now. 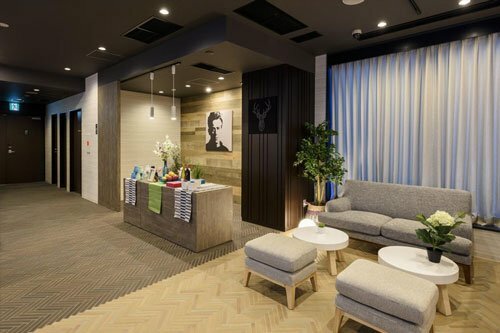 Another sleek compact hotel with a definite business touch to it, First Cabin offers a no nonsense stay at Tokyo. It’s not a capsule hotel, you have an entire (yet small) room to yourself. These units include a sink, coffee making facilities, TV and safety deposit box. Bathrooms and showers are shared and there is a public bath for guests. Even though this is definitely a budget hotel, it really looks much more expensive and includes amenities, such as towels, slippers and free conditioner, body soap and toothbrush. You can even borrow a trouser press, iron and smartphone charging cable. 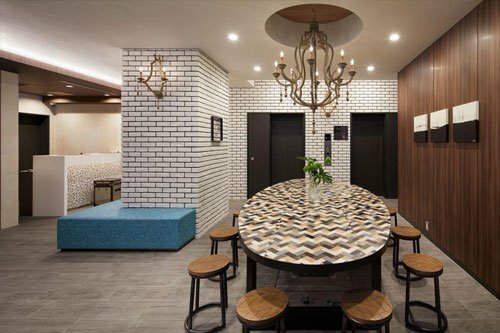 Japan is known for its futuristic designs and Belen Hotel perfectly blends this with sleek modern design. Everything is held in dusty white and deep chocolate browns with colourful details, making it feel like home away from home. It mght just be the best place to stay in Tokyo if you want a budget hotel. From Belken Hotel Tokyo it takes only ten minutes to Tokyo Station and 13 minutes to the famous Marunouchi Building. Each room is equipped with a bath/shower, towels, free toiletries, fridge and hairdryer. While not the prettiest from the outside, the interior of Hotel Ryumeikan is very neat and modern, held in pleasing warm colours. Rooms are squeaky clean and offer grand views over the area, breakfast is typically Japanese but bread and spreads are available as well. You can even order a massage to your room. If you need to get some work done and forgot your laptop, you can rent one from reception. Also, for Japan it’s a great idea to sort out your wifi hotspot in advance as you can’t just buy it n stores and might not want to line up after arriving at the airport (and potentially pay extra). Order it online or alternatively rent a phone from the reception. 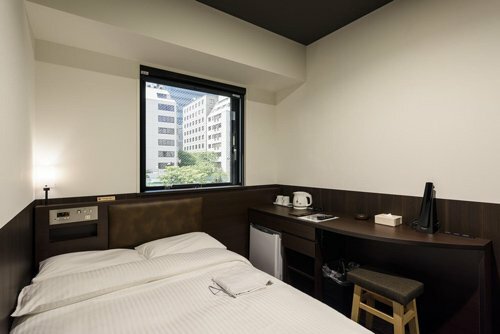 Only opened in 2018 this brand new hotel boasts an excellent location with only 11 minutes by foot to the Nihonbashi exit of Tokyo Station. 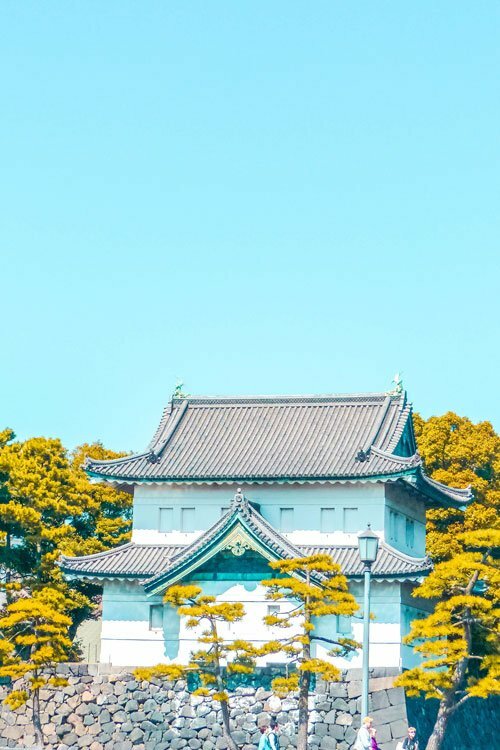 While the Imperial Palace and its gardens are just a short walk away as well, you can enjoy the rooftop garden and terrace. 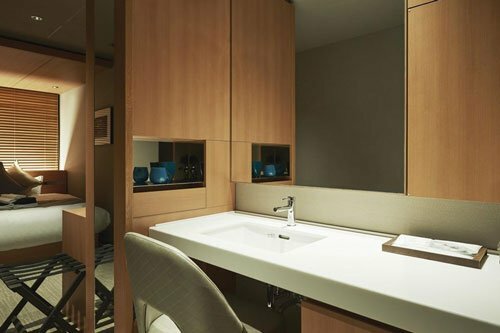 Mitsui Garden Hotel Nihonbashi Premier also features a bar and public bath and you don’t need to leave the building to get to both Shin-Nihombashi Station and Mitsukoshimae Station. Rooms are compact, so it’s ideal for solo travellers. Just be aware that large pieces of luggage might cram the room a little. Sometimes, especially during off season, you can find nearly half price deals on Booking (from $269 to $189). Check for slashed prices here. If you watched a home makeover on TV, this is what it might look like. Super well designed from start to finish with big comfortable beds. On top of that, the private bathrooms include Shiseido bath amenities, slippers and hairdryer. Free coffee can be enjoyed in the lobby and the breakfast buffet is continental style. 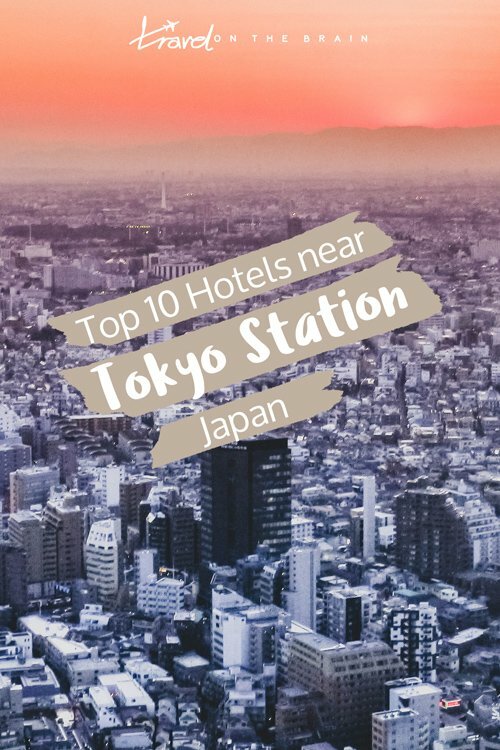 Unlike many of the other hotels listed here, the b tokyo shimbashi is located in Minato, meaning you get to see a more low key district and non touristy restaurants in Tokyo. It takes 6 minutes on foot to Shimbashi station with the Ginza and Asakusa Line. 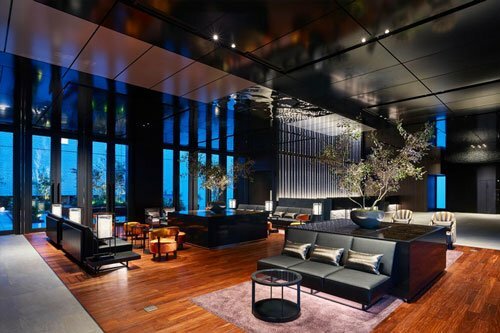 Hotel Tokyo Station is the best place to stay in Tokyo when it comes to luxury hotels. 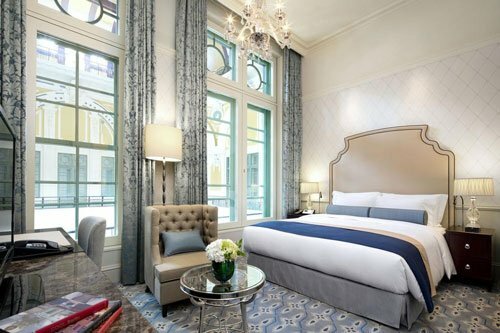 Chandelier, chandeliers, floor length windows with rich brocade curtains, tasteful designs and deluxe toiletries. Not only that but it blends classic European hotel style with modern features and the building itself is listed as an Important Cultural Property. The hotel includes access to an onsite fitness centre, spa, a 24 hour reception, business center and Asian restaurant. 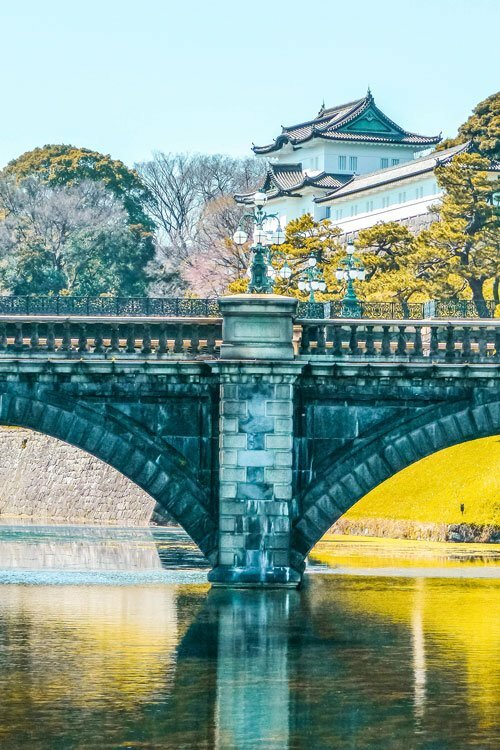 Hotel Tokyo Station is super centrally located with Ginza just being a 10 minute walk away, the Imperial palace a mere 20 minutes and makes for a great starting point for both Tokyo and out of town adventures. Check availability in advance. Rooms at the Royal Park Hotel are spacious, which isn’t a given in such a crowded city as Tokyo. 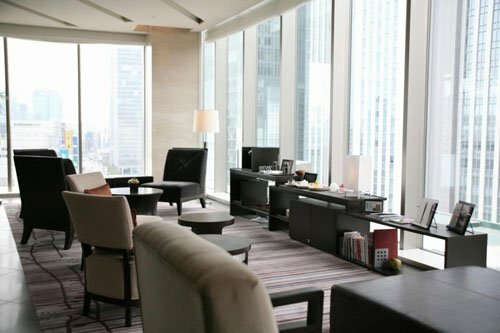 Plus, all rooms are above the 24th floor and thus offer remarkable views over Tokyo’s city skyline. Especially at night. Enjoy the view from the high class, onsite restaurants, serving international and Chinese cuisine. Rooms come with excellent amenities, including a pyjama, daily new sheets and towels, super comfy beds and laundry services are available. If you forgot to arrange a transfer from the airport (Narita Airport or Haneda Airport) to the hotel in advance, you can book it from the reception. 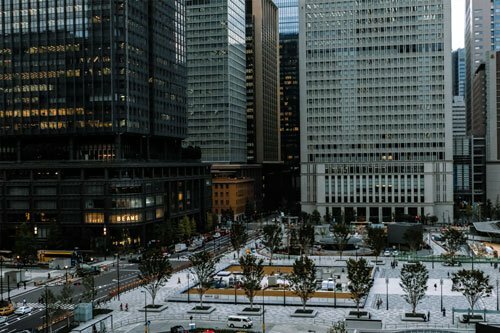 The Millennium Mitsui isn’t just another rooftop garden hotel. 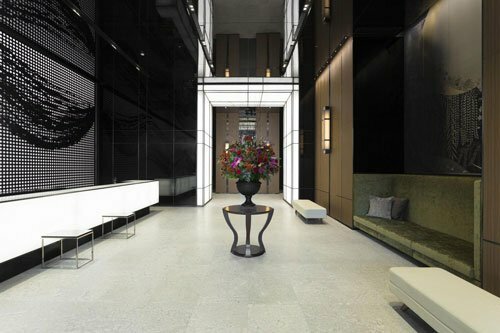 It simply screams understated glamour as soon as you step into the reception area. With that, it fits in perfectly with the Ginza area, where shopping, excellent dining and entertainment are key. If you arrive late or require extra comfort, you can take advantage of the onsite restaurant and laundry service. Breakfast is served both in Western and Japanese styles. Rooms come equipped with a private bathroom (shower or tub), free toiletries, a hairdryer as well as towels. There are plenty of attractions all over Tokyo to keep you entertained for months. However, if you need some inspiration for things to do and see both in town and on day trips from Tokyo, here is a short list. Why not plan a ay tour to Japan’s ancient capital of Kamakura and the famous Buddha statue? It’s not far away and you can reserve your seat online. For your own hop on hop off sightseeing tour, get a one day ticket for the sightseeing bus. Love sampling alcohol? Why not join a local pub crawl to meet fellow travellers and get to know the best bars and izakayas in Tokyo? 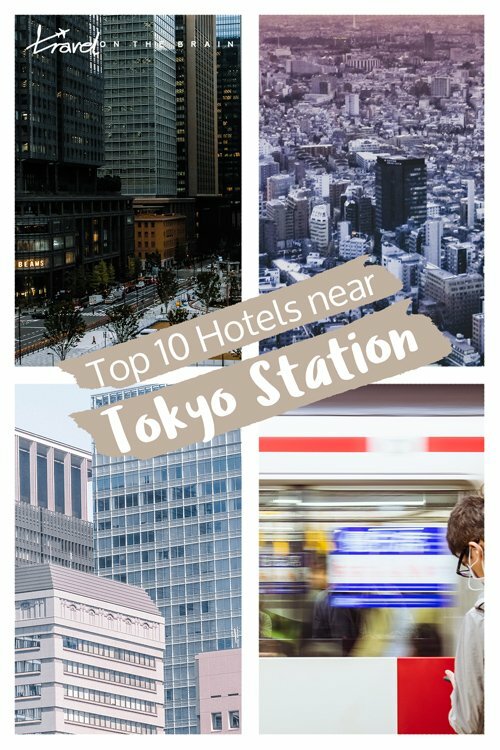 Sorted your best place to stay in Tokyo but forgot to book your railpass in time? Get a short notice bullettrain ticket to Kyoto for a day trip here. Nikko is one of the most beautiful cities near Tokyo. It is basically a UNESCO world heritage site with plenty of temples, shrines, waterfalls and hiking opportunities. 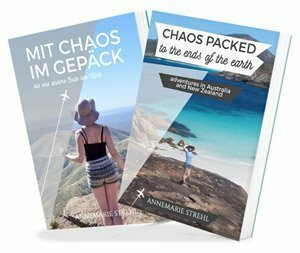 Book a day trip here. For a fun day out, visit Disneyland or DisneySea. Crowds can be insane, so better sort out your ticket online before you head to Japan. This way, you don’t waste precious time and might be able to get in first on the fun rides. Tokyo is simply stunning! Your post is very helpful!